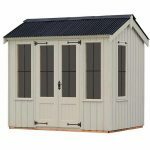 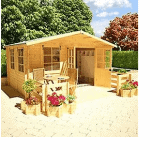 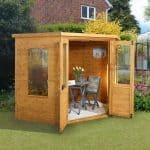 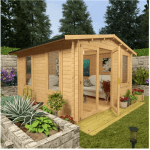 This beautiful looking summerhouse will turn heads in any garden and has been built to last using wood with 12mm tongue & groove walls, floor and roof, It has a superb looking front bay window and Georgian style double doors with window panes. 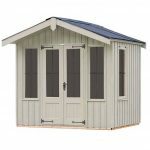 The smart Apex style roof finishes it off perfectly. 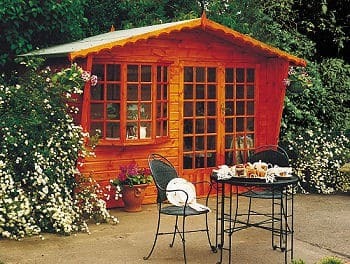 You will enjoy hours inside reading your favourite books or having a nap after a hard day at work. 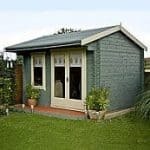 This building comes home delivered.